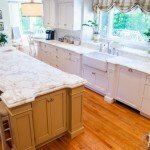 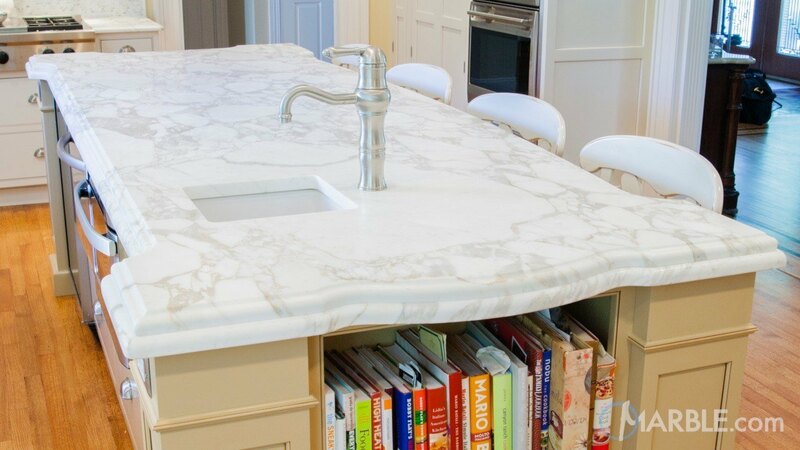 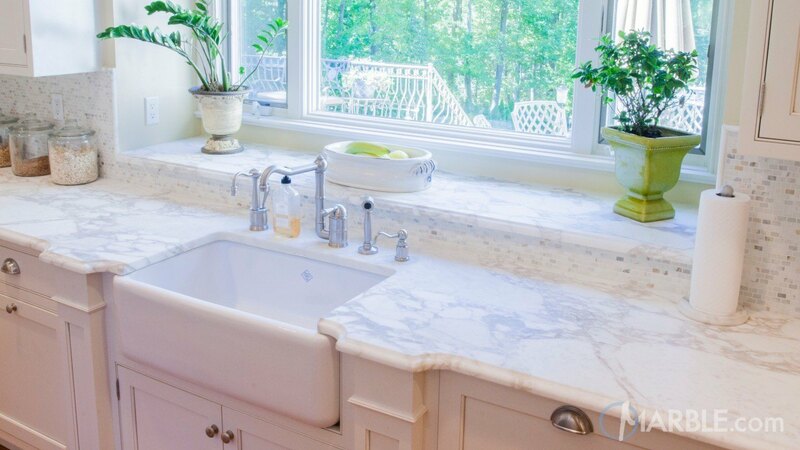 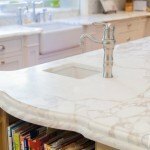 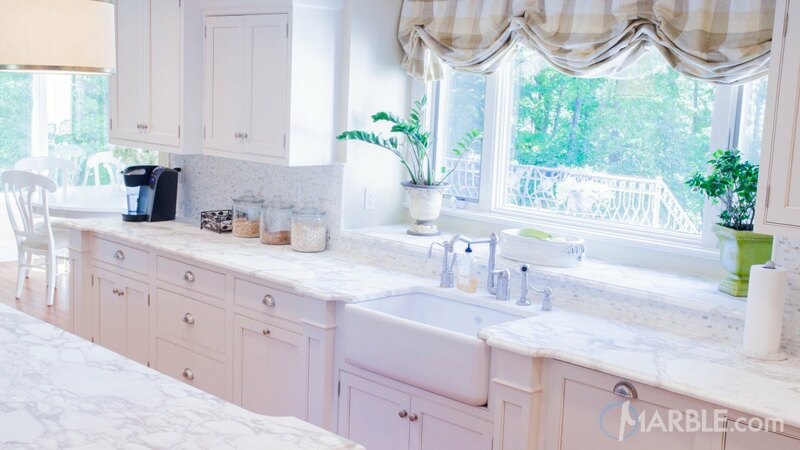 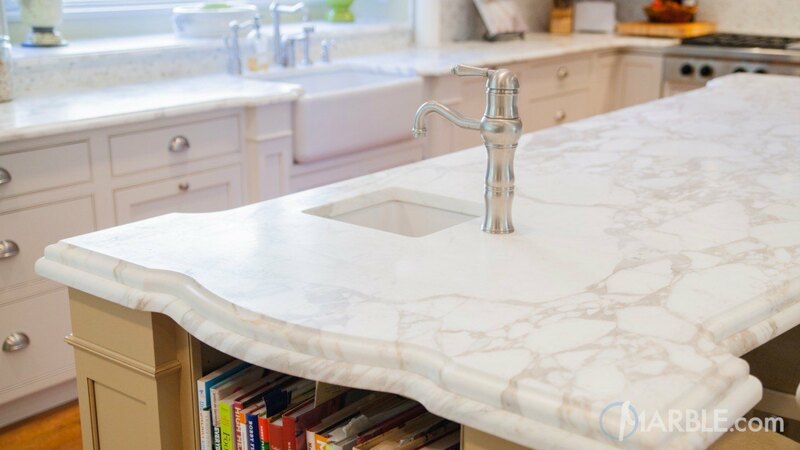 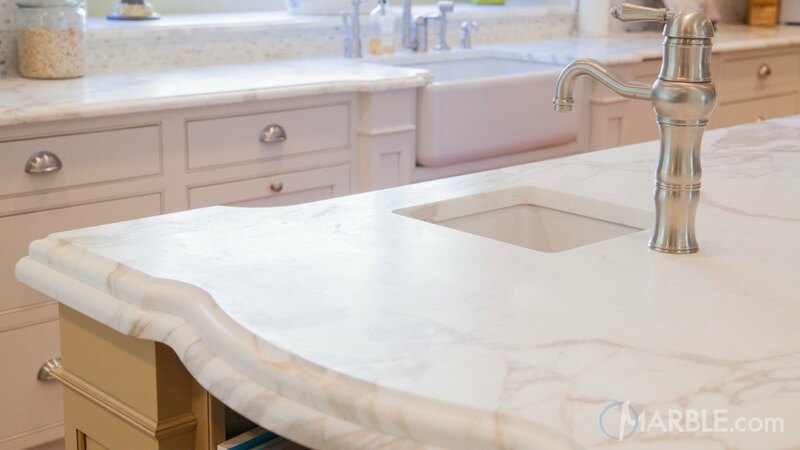 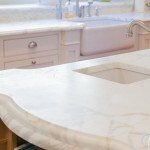 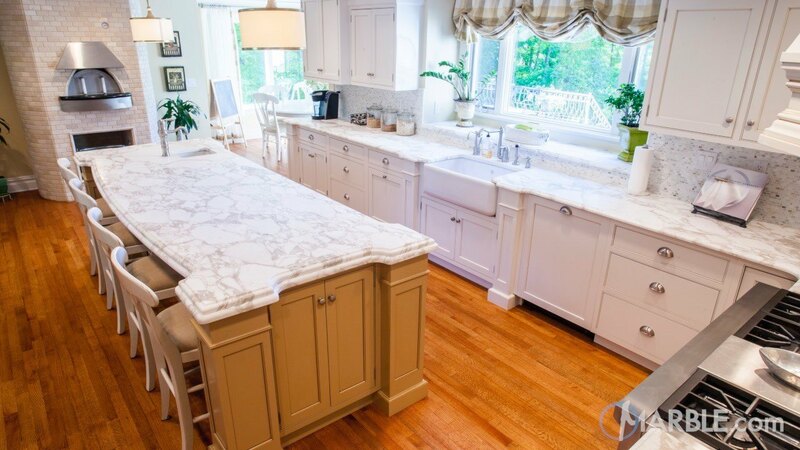 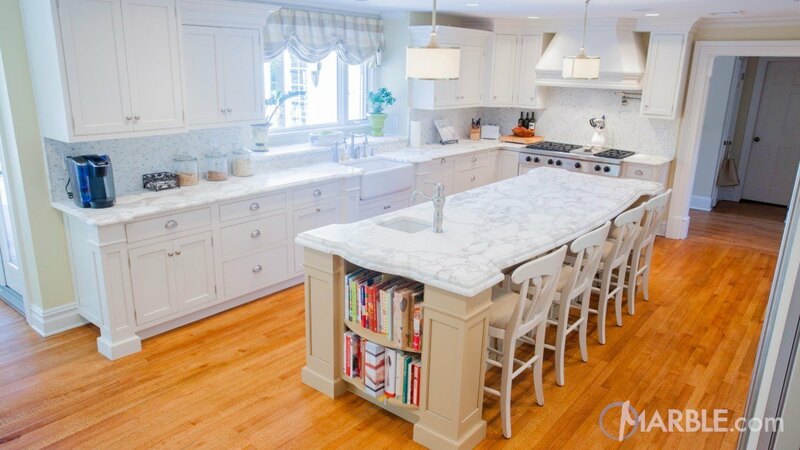 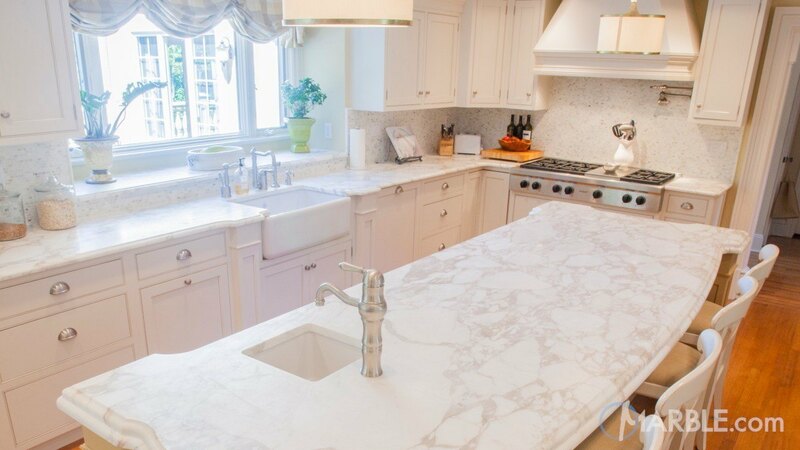 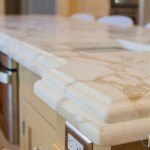 This stunning l-shape kitchen with an island features Calacatta Oro marble. 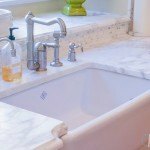 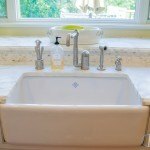 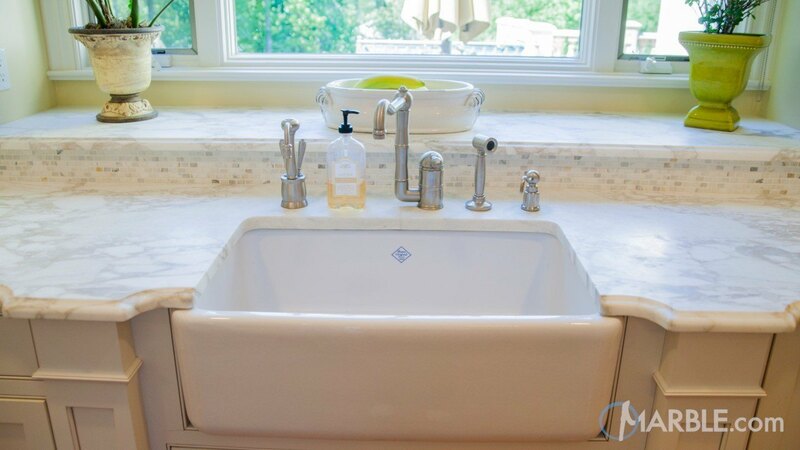 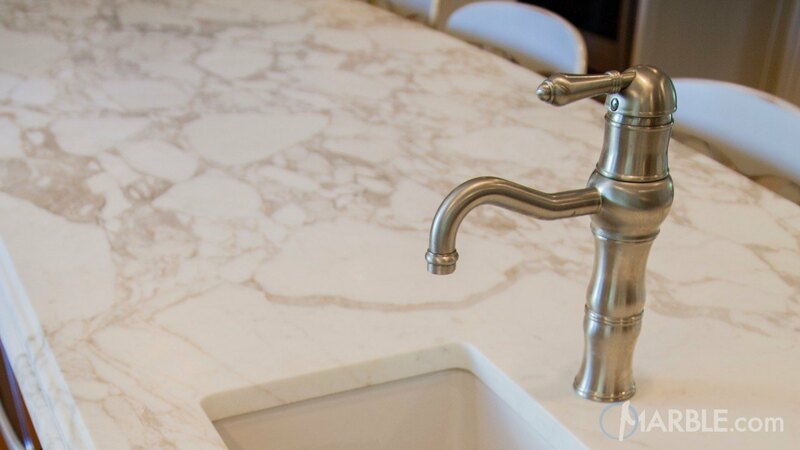 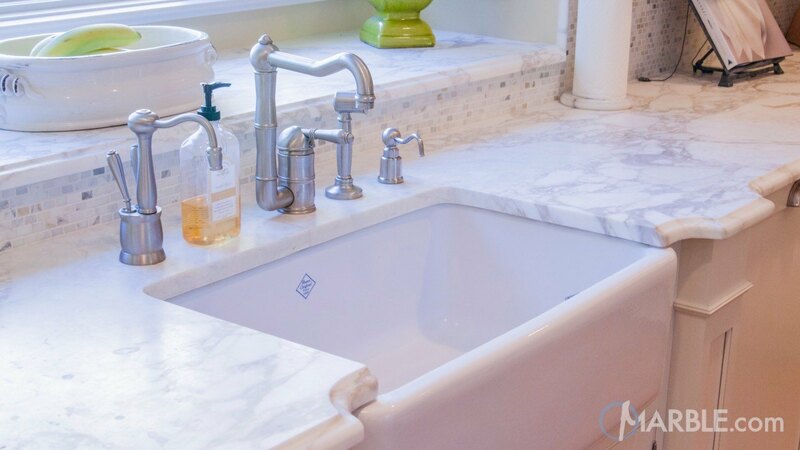 This marble comes from Italy and is white with grey veining but has some hints of gold hues throughout the veining. 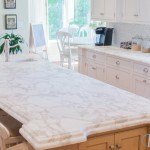 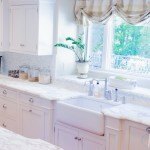 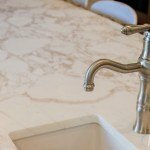 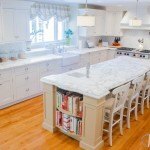 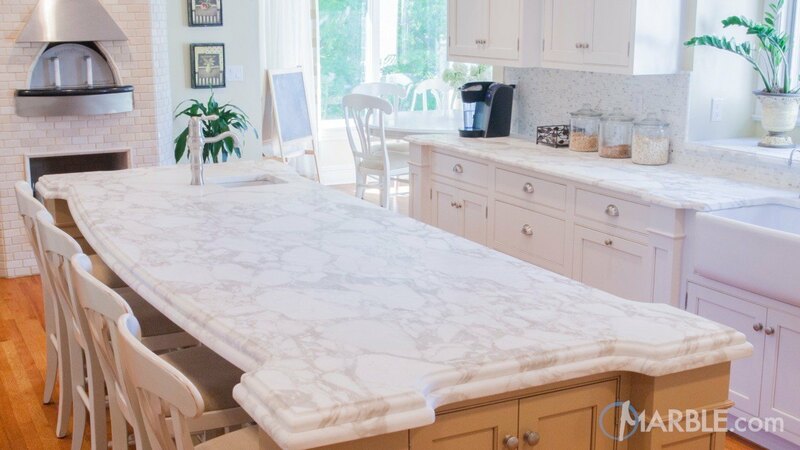 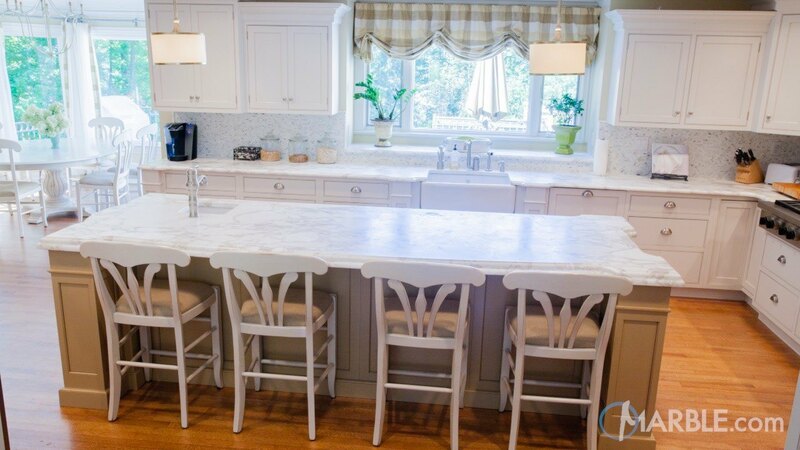 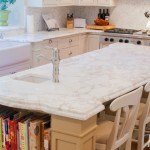 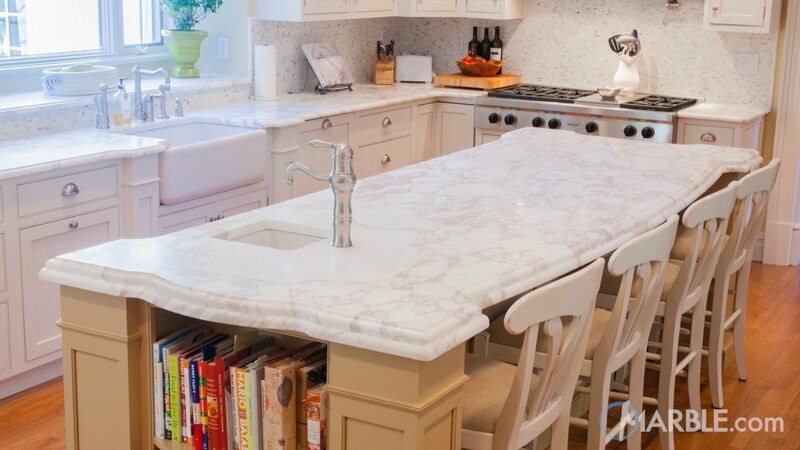 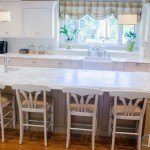 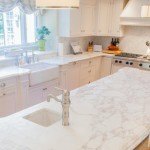 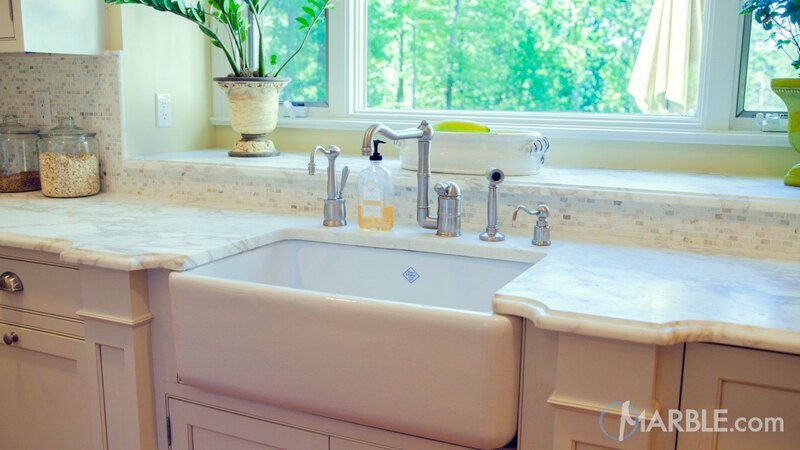 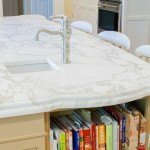 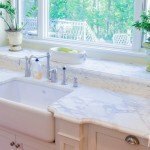 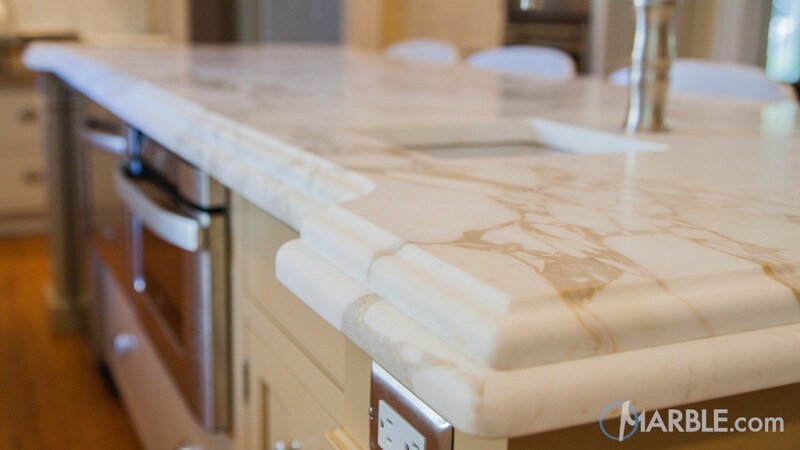 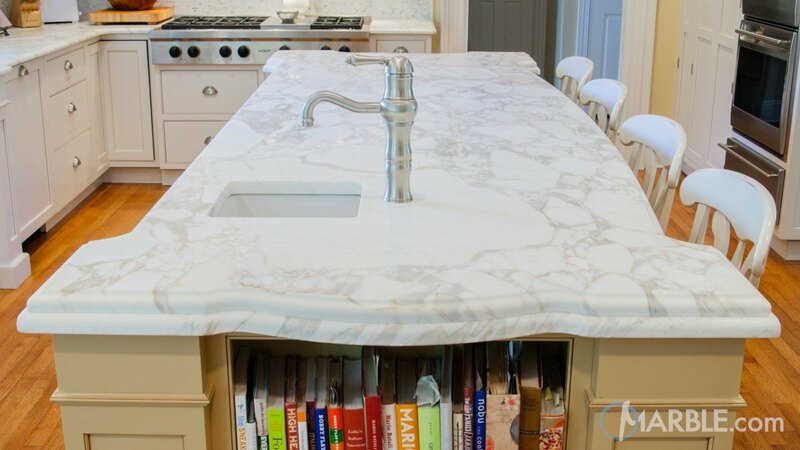 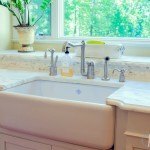 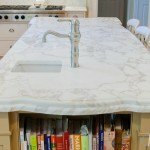 Calacatta Oro is normally matched with either white or black cabinets but the cream colored pillars on the island create a nice contrast.